White Water Rafting Andalucía (Río Genil), near Málaga, Granada, Córdoba, Jaén and Sevilla. 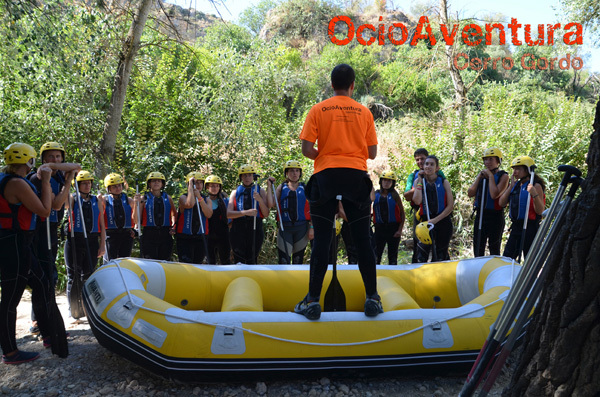 White water rafting Andalucía is an activity which consists of descending a riverbed towards the current inside an inflatable raft accompanied by a specialized guide, who will direct the raft together with the team help. This adventure sport will make you and your friends feel full of adrenaline, excitement and amusement. Along the route, there are some rapids (turbulences) that make the water white due to the foam it generates. This is an activity in groups, so team work is really important. At the beginning of the activity, the specialized guide will give some basic notions for you to know how to act facing the possible difficulties of the river. 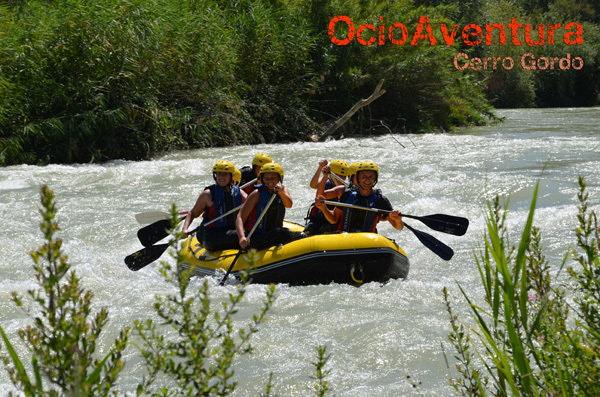 White Water Rafting on Río Genil (Andalucía) is practiced from April to October. it is practiced between this period because it depends on the water level, which is regulated by the reservoir in Iznájar..
Rafting on Río Genil can be practiced by groups with a minimum of four participants. If your group is smaller or you do not have any team mate, consult us to check if there is any other group available for you to join. Our boats are designed for eight people. 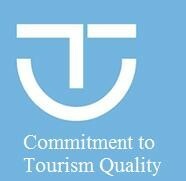 YOU DON’T NEED PREVIOUS EXPERIENCE! 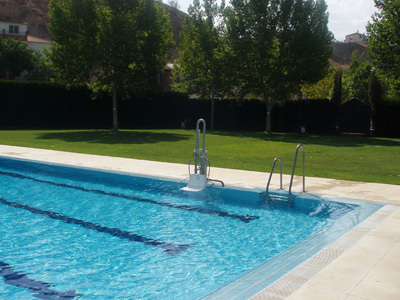 Benamejí-Palenciana Stretch (medium-high difficulty), WHITE WATER: available over 14 years old. Children over 7 years old to 14 years old can do just a part of the route until the “Arabian water mill”, where they will be collected by the instructors. 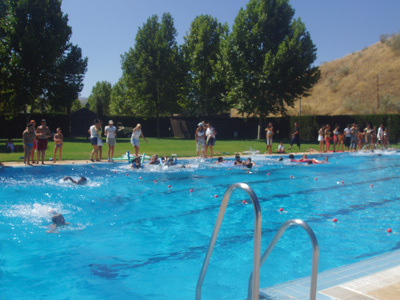 Cuevas Bajas Stretch (low difficulty), FOR FAMILIES: available over 7 years old (swimming knowledge is essential!). 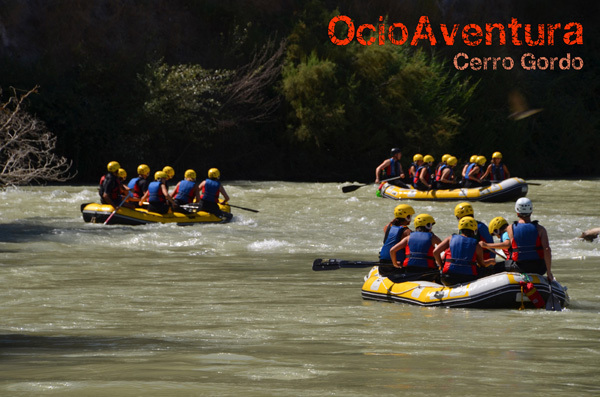 White Water Rafting on Río Genil (Andalucía) is destined to a group of friends, hen and stag parties, business incentives, school trips, etc. spare clothes and shoes to use after the activity. Cuevas Bajas Stretch, low difficulty. FOR FAMILIES (available over 6 years old; swimming knowledge is essential). Children can do the whole route. Ask for information in case of large group. SCHOOLCHILDREN: from €20 per person -> (ask for prices). If you are a large group or you want to choose a pack which includes other activities too, do not hesitate to ask for prices. 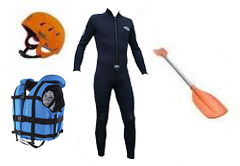 Authorised technical equipment (WETSUIT, life jacket, helmet and paddle). Toilets and showers (available inside our activities centre). Civil liability insurance and accident insurance. Personal materials specified in the previous section “What should I wear?”. Travel to Cuevas Bajas (where the activity will be initiated). Photographies and professional video taken during the descent (ask for prices). We include WETSUIT for all our clients since the water is very cold when coming from the bottom of the reservoir that regulates it. Entry to the swimming pool (summer period). Ask for more information. White Water RAFTING + PAINTBALL – from €45 per person. 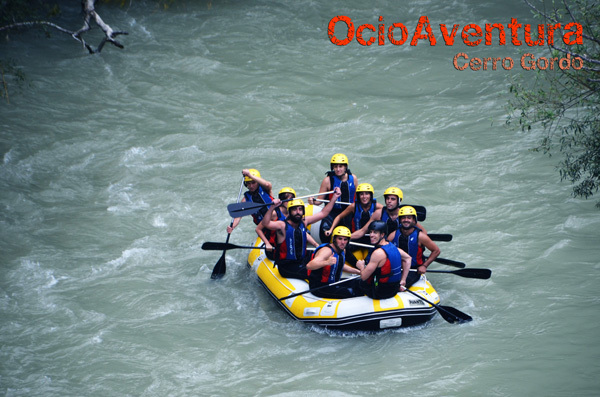 White Water RAFTING + CANYONING ON RÍO VERDE (GRANADA): from €75 per person. 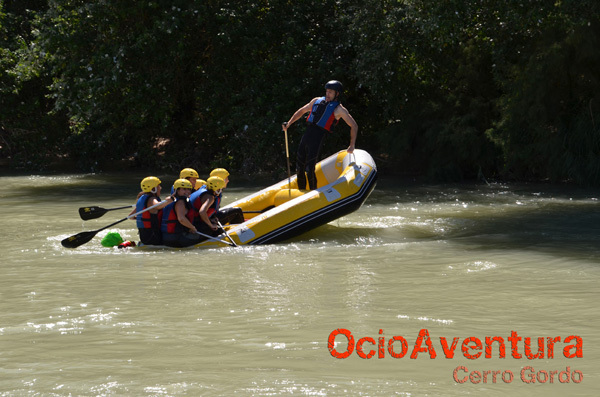 White Water RAFTING + CANYONING ON RÍO GENILLA (CÓRDOBA): from €65 per person. White Water RAFTING + BUNGEE JUMPING. White Water RAFTING + LUNCH – from €45 per person. White Water RAFTING + RURAL ACCOMMODATION: ask for prices depending on the number of people. 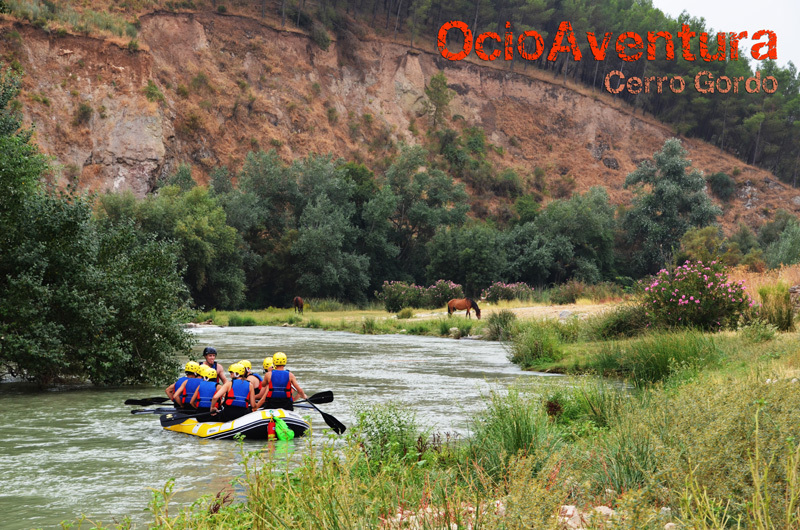 White Water RAFTING on Río Genil + “Casa Pajaritas” rural accommodation: from €53 per person. Two days and one night (two nights minimum on peak season). Ask for prices. If you wish to give a special and different gift, ask for a gift voucher. White Water Rafting on Río Genil. White Water Rafting near Málaga, Granada, Córdoba and Jaén. White Water Rafting near Córdoba and Sevilla.